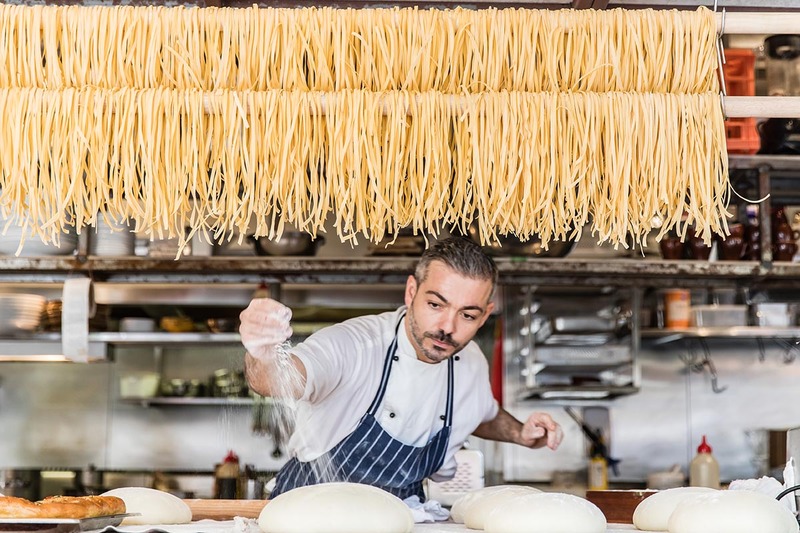 At Flour Eggs Water we are fanatical about fresh authentic pasta made the original Italian way. This is the third outpost and offering from A Tavola and it’s a nod and a reminder to where it all began. 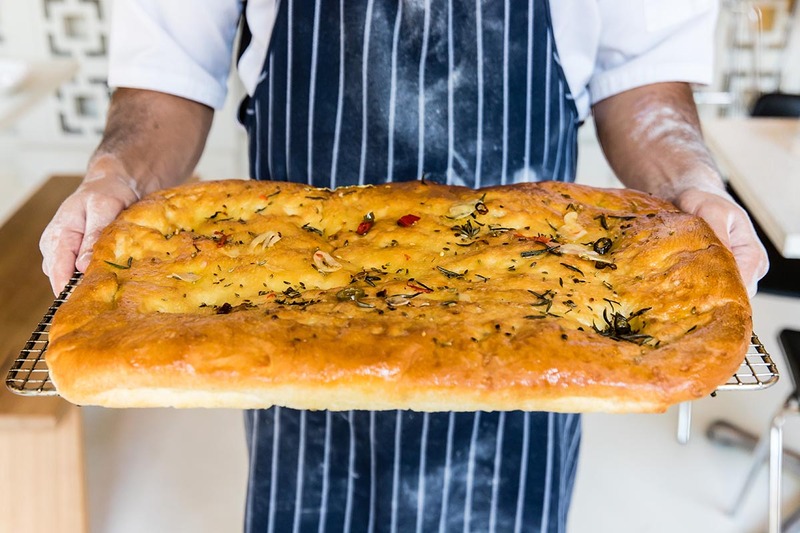 Three simple ingredients which when combined can be transformed into one of life’s simplest and most satisfying pleasures – pasta. Flour Eggs Water on Crown Street Surry Hills. A pasta bar by A Tavola. After a successful 10 years in Darlinghurst, it was time to evolve our Surry Hills residence into your new local pared back pasta bar. Walk in and feel like your home. Our kitchen is your kitchen. 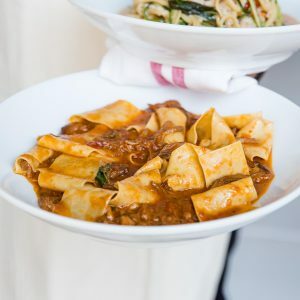 We are here to feed and nurture you with one of life’s simplest and most satisfying pleasures – pasta. This is relaxed simple dining at its best. Your place, our place. 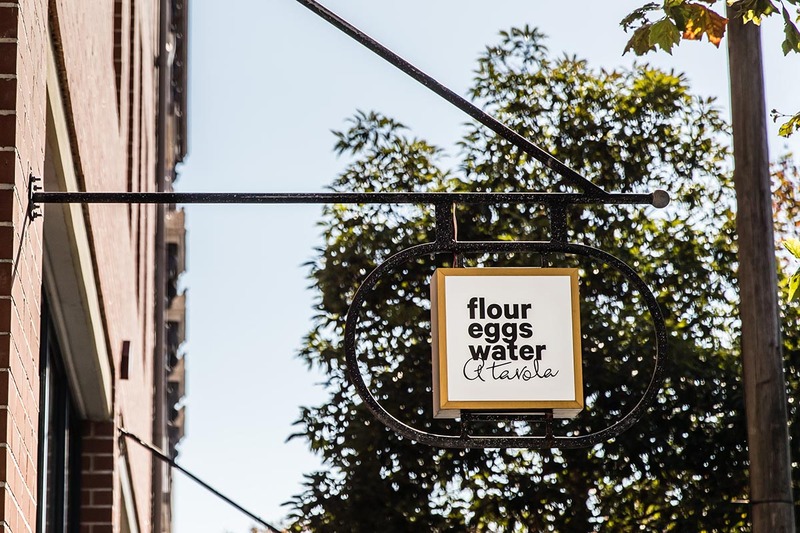 Flour Eggs Water by A Tavola on Crown St, Surry Hills is taking it back to where it all began. 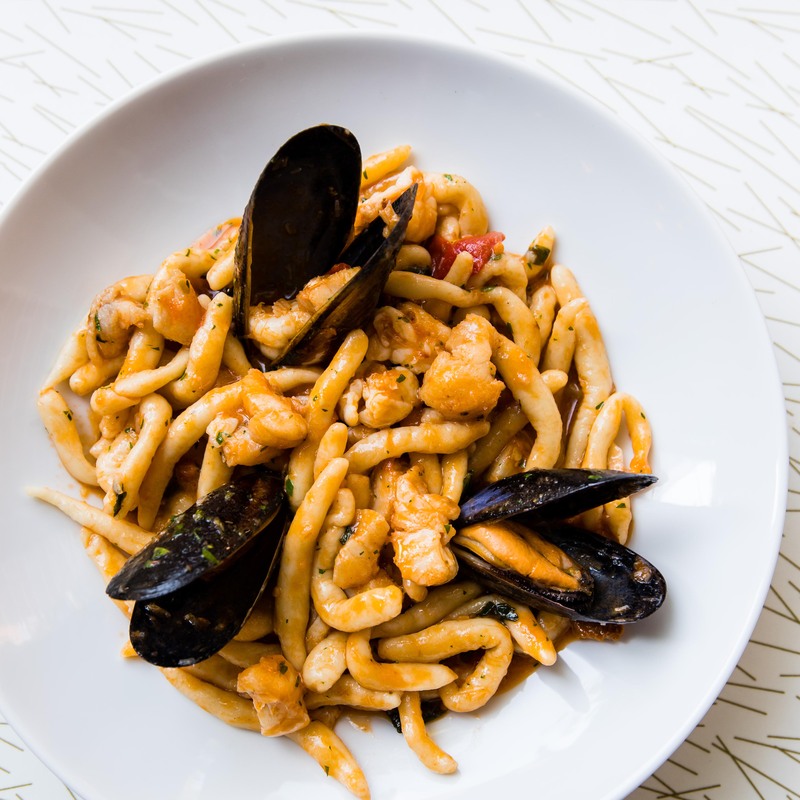 Your go-to place for slow prepared pasta for fast-paced lives. 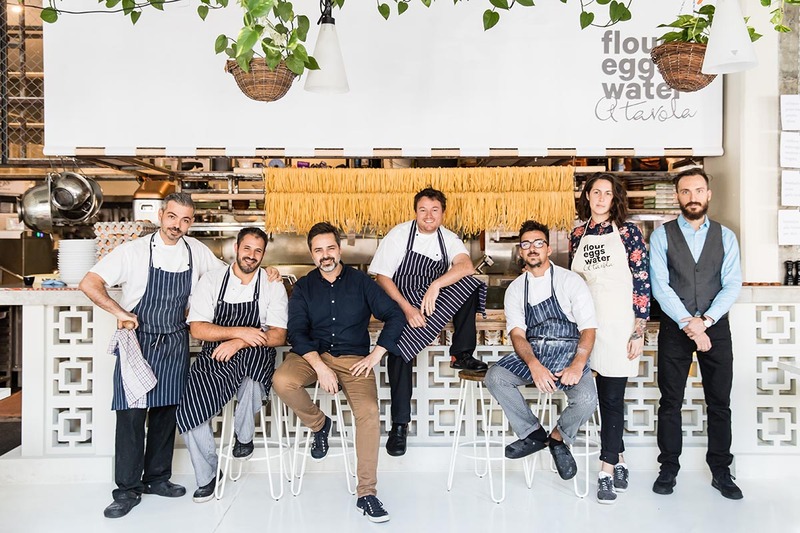 This is the third outpost for the A Tavola crew driven by pasta mad Eugenio Maiale. 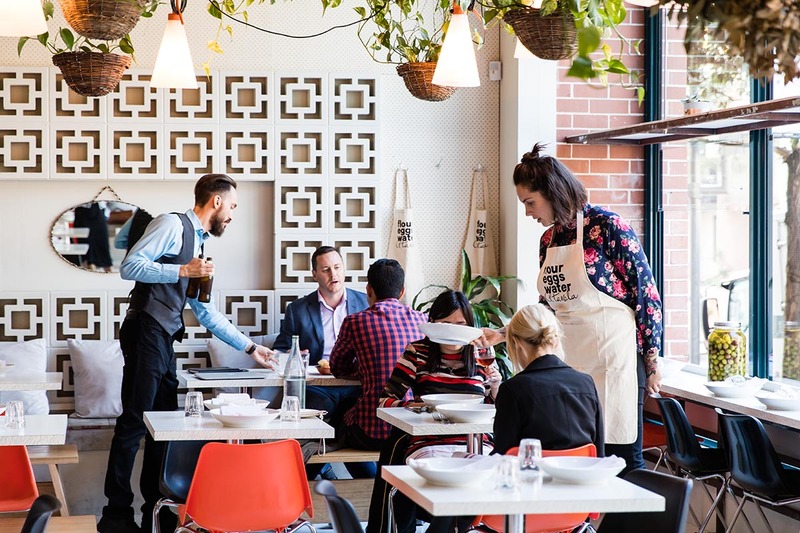 Enjoy a truly sensory experience at Surry Hills best spot on Crown St. 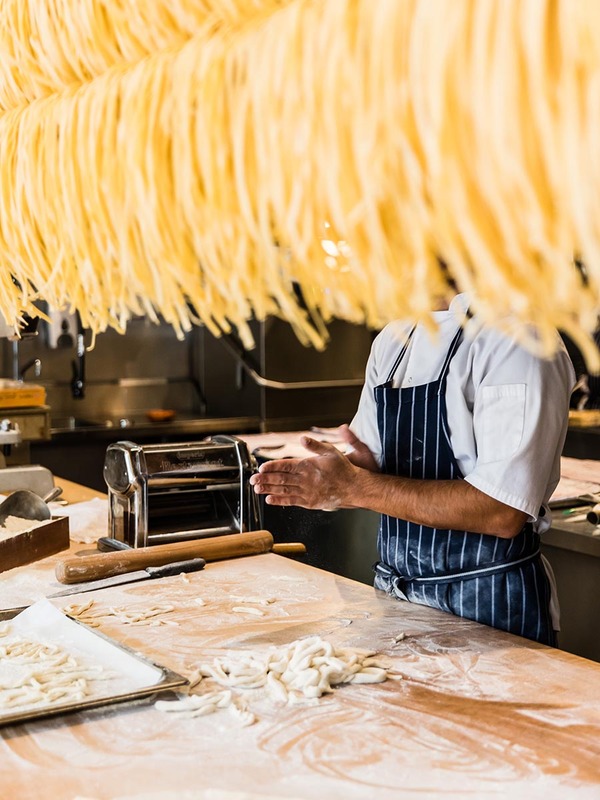 Pasta for everyone, whether it be a quick lunchtime bite or an extended catch-up with family and friends, come and take a seat and be seduced by the theatre in our open kitchen or watch our Pastaio, dedicated to his craft take part in the daily ritual of making fresh pasta. 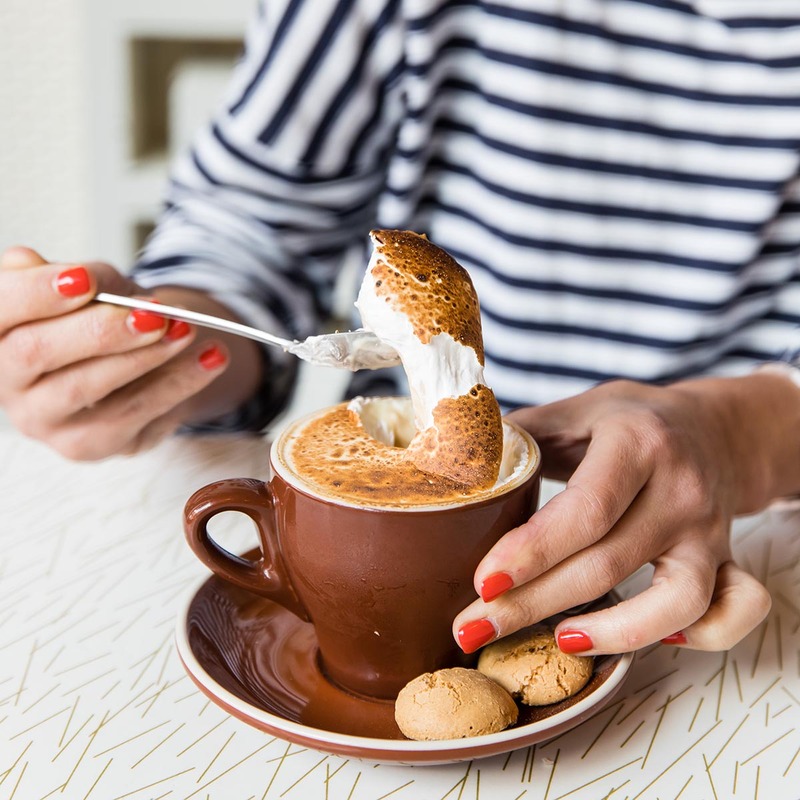 Fresh, welcoming and created for you, our Sydney community so you can have a space to get together and get to know the beauty that exists behind the scenes of past making.